Flintstone Holiday. Cave hotel view. Sunrise with a balloon view from the Holiday Cave Hotel. Cozy inside of a cave hotel. A quaint seat at the valley. 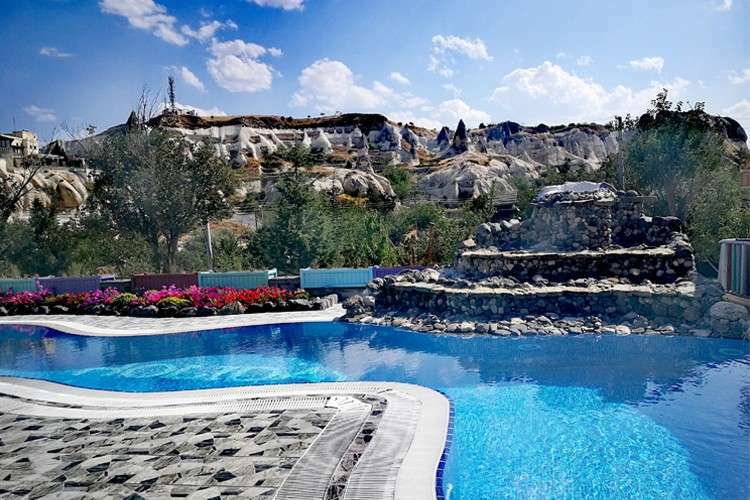 From the moment I saw the key to our room once we arrived in Cappadocia, I felt we were back in the Stone Age at the Flintstones Holiday Cave Hotel. Our room was unbelievable! 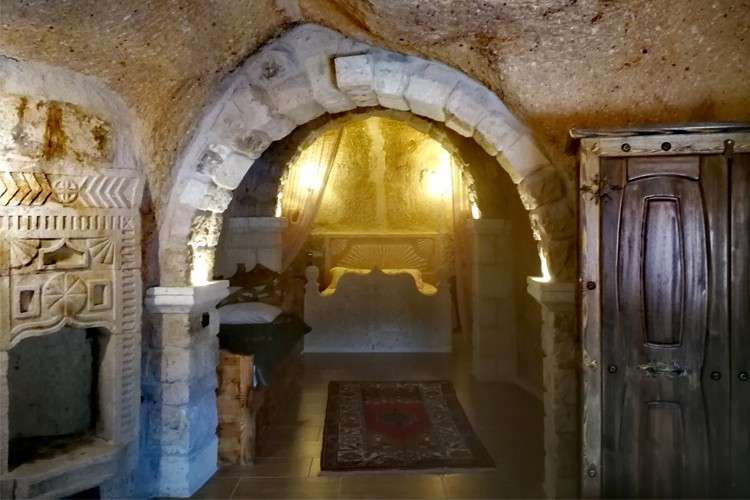 Its natural temperature was 16 degrees Celsius and you could envision yourself in a tomb – but one with a hot tub, fancy beds and air conditioning. I was amazed at the stone structures that surrounded our lodgings. As we found a higher area to catch the sunset, it felt like I was on another planet. As far as the eye could see, fairy chimneys dotted the landscape and beyond. Such an unforgettable sight! 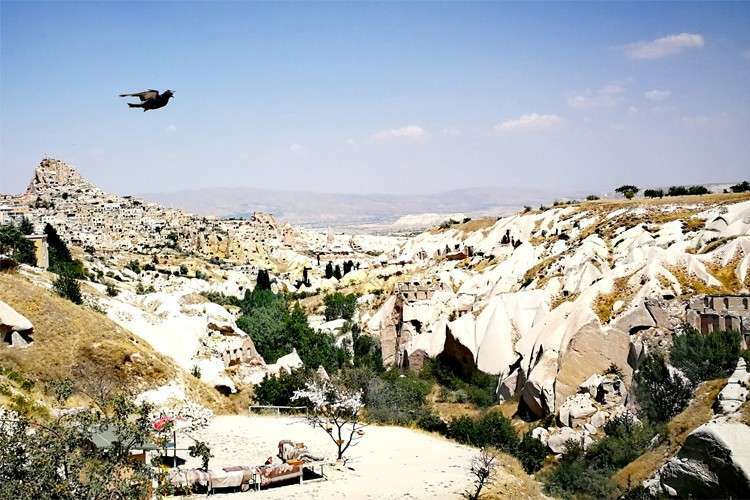 Located in Central Anatolia and known for its fairy chimneys and unique historical and cultural heritage, the landscape of Kapadokya (in Turkish) came about as a result of sedimentary rocks formed from lakes, streams and ignimbrite deposits that erupted from ancient volcanoes more than three million years ago. These rocks eroded into hundreds of spectacular pillars and minaret-like forms. 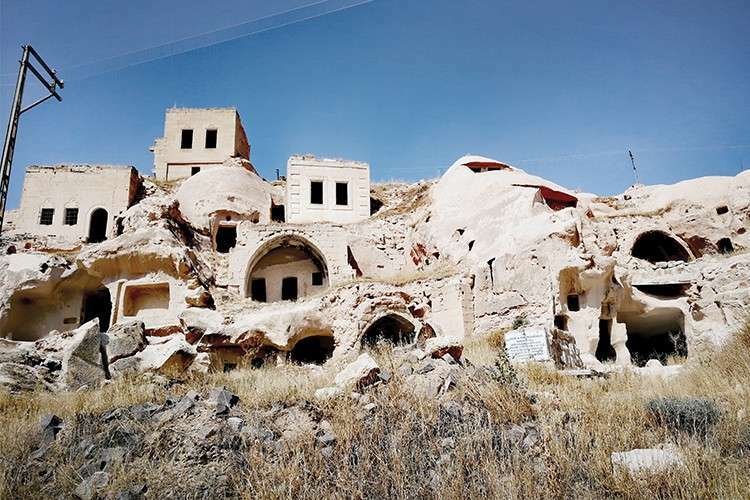 The locals then carved out their homes, churches, monasteries from these soft rocks and as a result, Goreme became the monastic center of the region from 300-1200 AD. 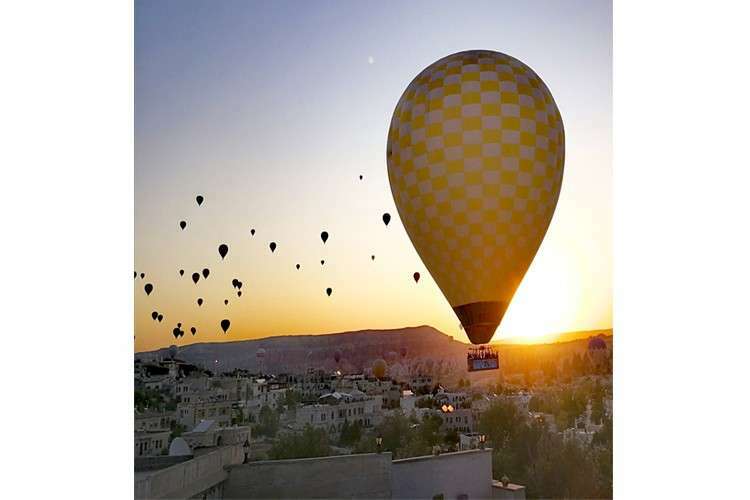 On our first morning there, we were treated to a sunrise spectacle of hot air balloons rising at a distance – a popular must-do in this area. We ran to the terrace dressed in our pajamas, the sight took my breath away. The hairs on my arms stood up – not because of the chilly morning air, but because it was really so very beautiful, I felt so lucky to be standing there. As the morning progressed, some of the balloons even passed over our heads; so close, that we were able to give the riders morning greetings! 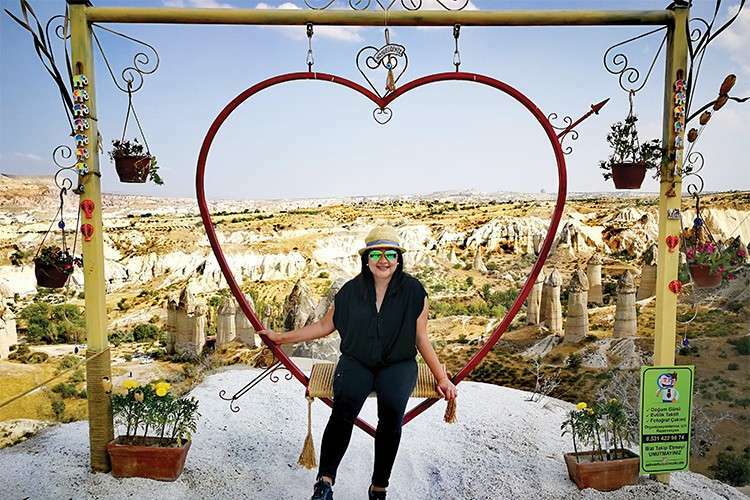 The rest of the day was spent hiking around the Goreme Open Air Museum – a complex that contains more than 30 carved-from-rock churches, some with frescoes dating from the 9th century. 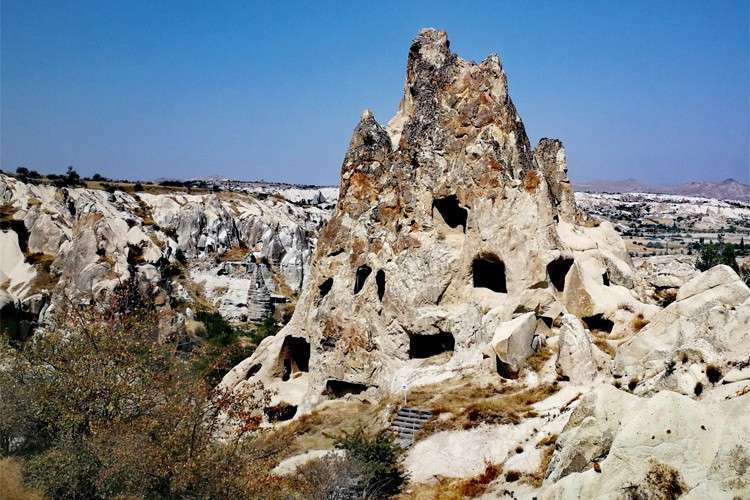 We also went to Ortahisar, where a man-made rock castle had me shaking my head in disbelief. Devrent, also known as Imagination Valley, presented us with animal-shaped rock formations. 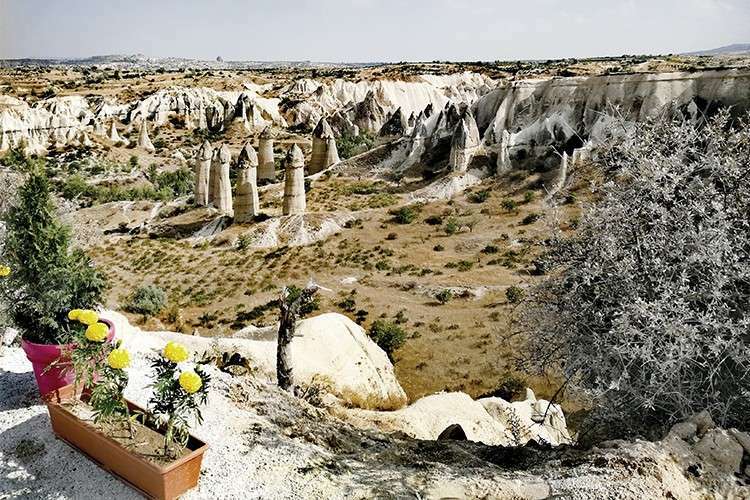 Love Valley on the other hand, got its name from its numerous phallic natural structures, symbolizing male fertility. Another place, the Red Valley, is known for its spectacular sunsets. 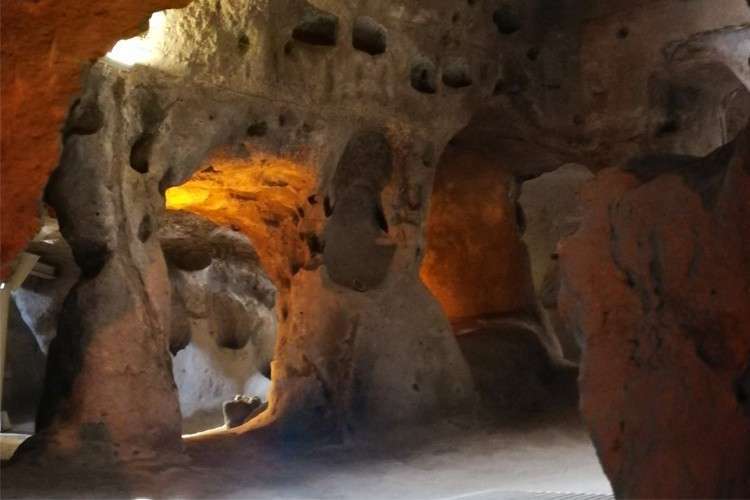 As we spent two days hiking around all these places, I found it mind boggling that generations survived living in these stone structures – some of which were underground. These places were fully equipped with exits, ventilation and communication holes and had separate areas for people and animals. The highlight of our trip of course was our sunrise hot air balloon ride. It was epic. The feeling of floating in the air with a postcard-perfect landscape below will be quite hard to match. 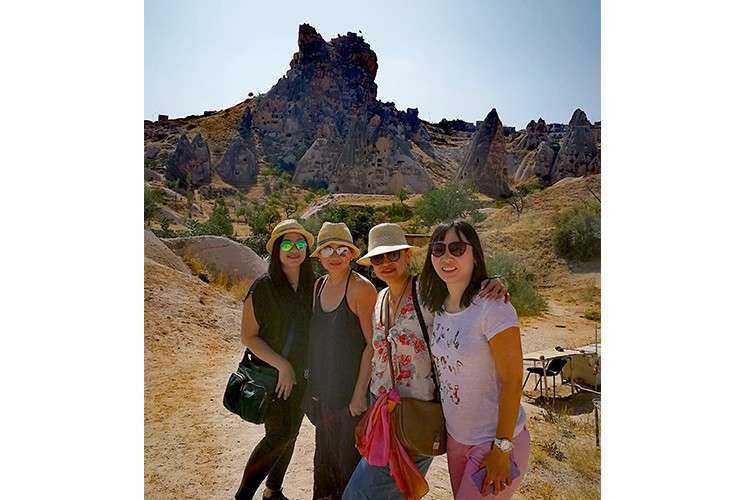 Kapadokya is one of those places where being there is just as fantastic as the photos you see. I will make sure I see you again – but this time, in much cooler weather.